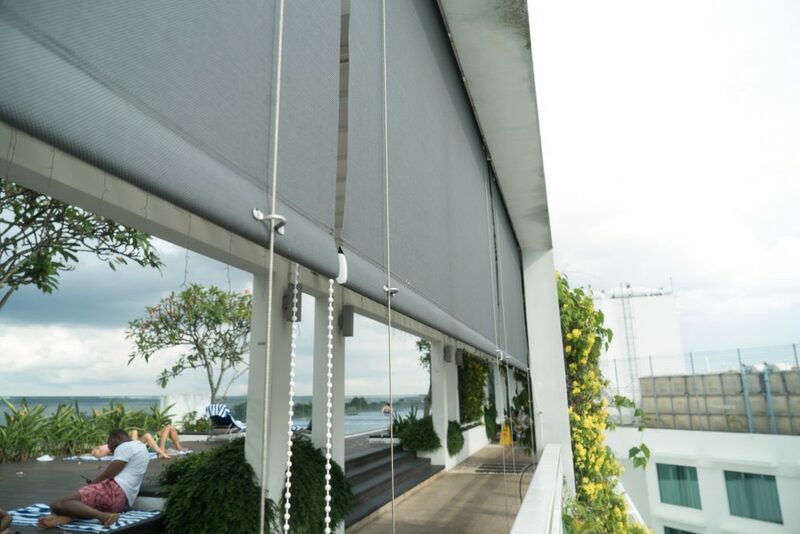 Whether you have a patio, a garden or even a sitting area that you want to protect against the scorching sun, outdoor blinds are always the way to go. With the option to let it down or pull it up, outdoor blinds are effective in setting the mood and temperature for your outdoor feature. They can also be integrated into a motorized system which automates the movement without having you to touch the blinds. 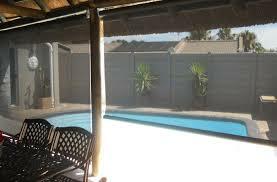 An outdoor roller blind is extremely effective in keeping the light out. Furthermore, it gives you a more comfortable sight screen from the outside without making it overly apparent. 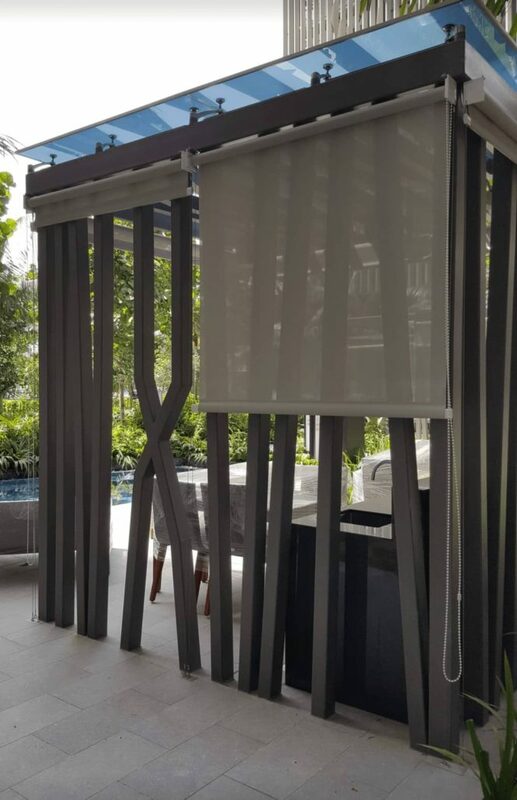 Due to the tropical climate of Singapore, Estil’s outdoor blinds are made to withstand torrential downpours, reflect heavy sunlight and that nice evening breeze. Making use of heavy duty marine-use steel, you don’t have to worry about the durability of the stainless steel side guides. Each outdoor blind comes with heavy duty side guides and a heavy-duty operating system. This, therefore, allows for outdoor blinds to have a long lifespan since they require minimal maintenance and are made from effective and heavy-duty materials. It provides for simple and effective indoor climate control and comfort. 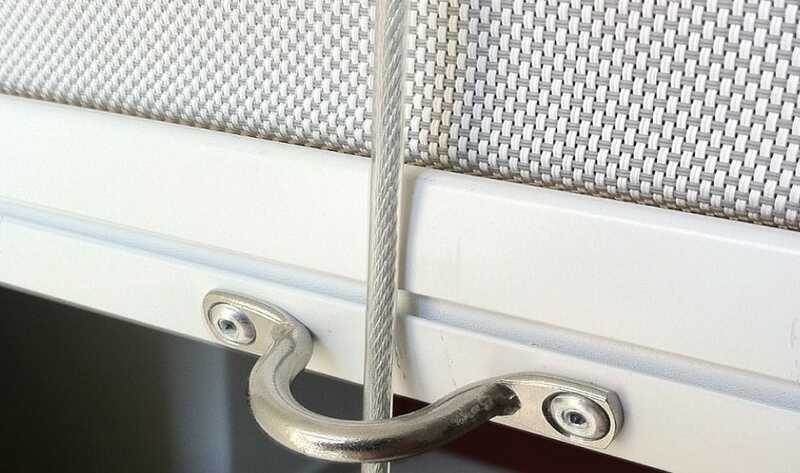 These blinds are also extremely wind resistant, meaning that you don’t need to put up with any interference from your blinds when the windows are open. Motorised blinds are the preferred choice for outdoor blinds because you can remotely control the blinds before heading out. It also forms as a good ambient temperature control to prevent the heat from radiating into your house. Motorised blinds have come a long way and are now very reliable even in adverse weather conditions. We have a wide selection of motorised brands which includes Elero, Estil Motorised Systems, Forest, and Somfy. There are a few blinds options for outdoor use and really depends the setting which you want to use it for. The main difference between outdoor blinds and indoor blinds is the type of materials used. 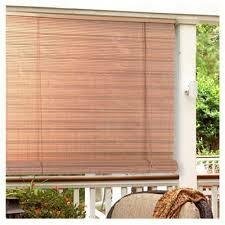 Outdoor blinds usually require tougher materials to withstand direct sunlight and harsh rain and wind. 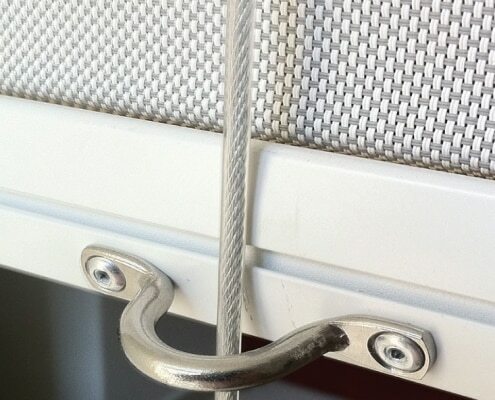 They also require additional accessories such as tracks so that strong wind will not adversely affect the blinds. 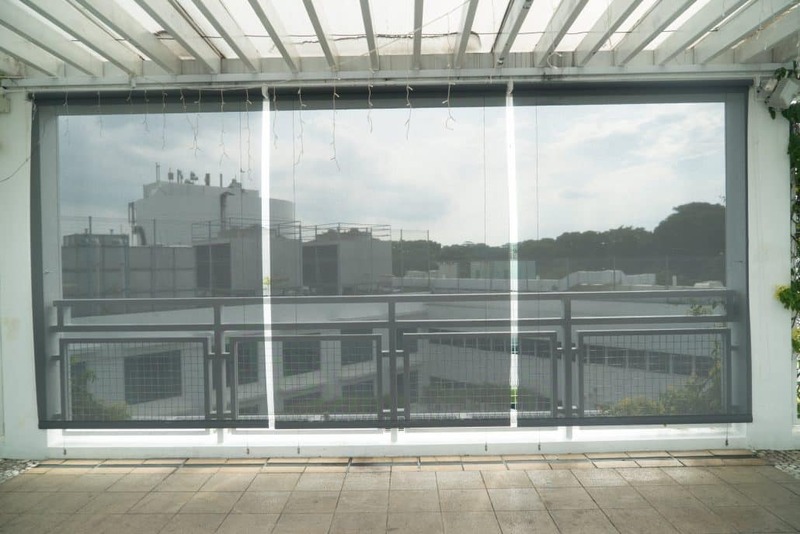 commonly found in condominiums and HDB estates, Balcony blinds are outward facing and serve the purpose of blocking either partial or complete sunlight to your balcony. The most common type of blinds used in this manner is either roller blinds, honeycomb blinds or bamboo blinds. 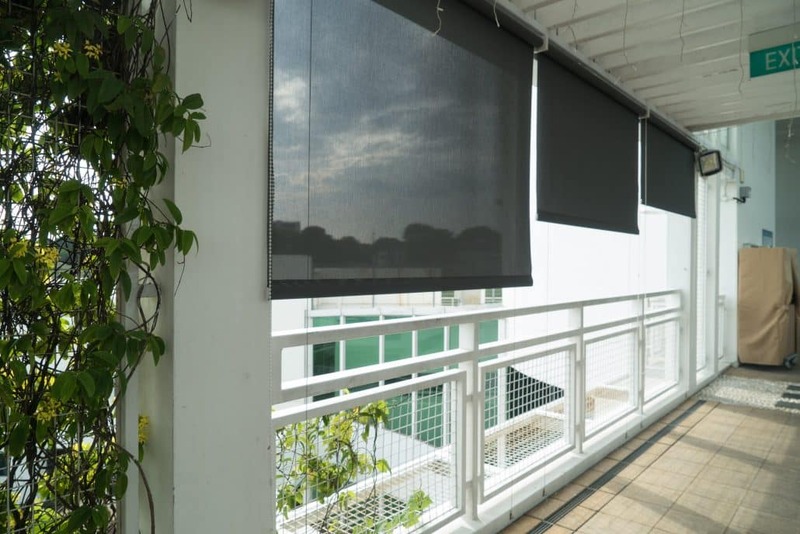 Mainly referring to families or individuals living on a landed property in Singapore, Patio or garden styled blinds tend to be longer and use different materials. They tend to be translucent to only partially reduced the harshness of light coming in and still allow wind to penetrate through the blinds. The most common type of blinds used in this settings are roller blinds that are motorised and bamboo blinds. Estil Furnishing is compliant with all safety and design regulations of your home, therefore we have a wide range of fabrics for you to choose from. Be it to match the interior design of your home, or to comply with condominium regulations, we’ve got you covered.